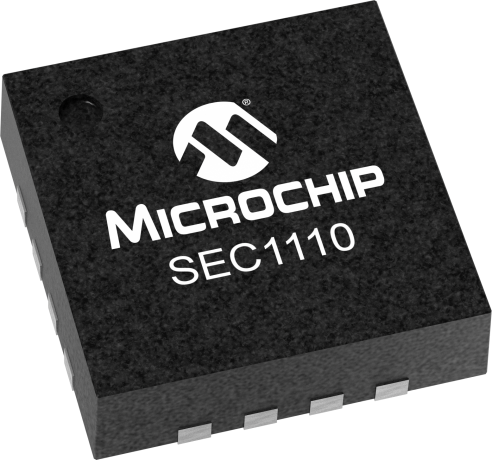 Microchip’s SEC1110 is a low-cost, low-power, single-chip Smart Card controller with a USB 1.1 upstream interfaces. Using a combination of hardware and software, this device delivers high performance and flexible design customization options. The SEC1110 comes in a small-footprint 16-pin QFN and utilizes Microchip’s TrustSpan™ technology which enables digital systems to securely communicate, process, move and store information on system boards, across networks and through the cloud. Up-to-date EMV and USB certifications enhance interoperability with all of the latest and legacy Smart Cards and host operating systems. Ready-to-use USB Chip Card Interface Device (CCID) firmware provides a fast and easy platform to develop custom applications and one-time programmable (OTP) memory offers the flexibility of custom firmware or vendor-specific device data. The OTP memory can be fully or partially programmed by Microchip during chip manufacturing and by the customer during final product assembly. The EVB-SEC1212-DEV is a development tool for development of custom firmware for the SEC1110 and SEC1210. The development platform supports an external SPI Flash device for enabling custom firmware code to be loaded into the SEC device on bootup. The SPI Flash programming tool is included in the development package.